His first cookbook, Vegan Fusion World Cuisine, has won 9 national awards including “Best Vegetarian Cookbook in the USA.” His 7th and most recent cookbook, Healing the Vegan Way, was selected “Best Book for Vegans in 2016” by Philly.com. Mark is the recipient of Vegan.com’s Recipe of the Year Award and Aspen Center for Integral Health’s Platinum Carrot Award. 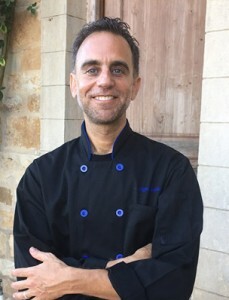 Through his Vegan Fusion company, he offers consulting services, vegan and raw cooking workshops, and chef trainings internationally.